Fresh pictures released by CNN depicting Rohingya refugees crammed into a rickety boat with no engine have put more pressure on the Thai government to come clean on abuse allegations by the Thai Army. In the pictures, the refugees' boat was being towed out to sea allegedly by a Thai Army boat, before being cut loose and abandoned. A Rohingya man, who claimed he was on one of the six boats, said that his was the only boat that had made it to shore, while the other five boats sank. The pictures and eyewitness accounts from tourists contradict the Thai Army's earlier claim that there has been no inhumane treatment of the refugees. Of the 992 refugees who set off from Myanmar toward Thailand in December, 550 are thought to be missing and feared dead. Fresh pictures released by CNN depicting Rohingya refugees crammed into a rickety boat with no engine have put more pressure on the Thai government to come clean on abuse allegations by the Thai Army. In the pictures, the refugees' boat was being towed out to sea allegedly by a Thai Army boat, before being cut loose and abandoned. A Rohingya man, who claimed he was on one of the six boats, said that his was the only boat that had made it to shore, while the other five boats sank. The pictures and eyewitness accounts from tourists contradict the Thai Army's earlier claim that there has been no inhumane treatment of the refugees. 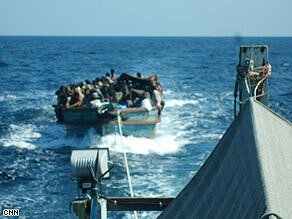 Of the 992 refugees who set off from Myanmar toward Thailand in December, 550 are thought to be missing and feared dead.